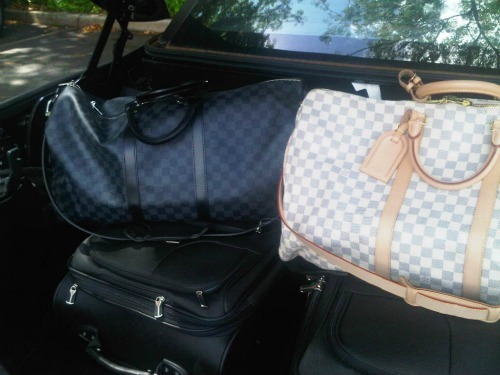 My friend told me about this "his and hers" Louis Vuitton Keepall luggage she spotted online and I spent forever trying to find the picture. I think know he would trade "his" in for another vacation or golf clubs, but I would love to have "hers" for our honeymoon. A girl can dream! Something we would both be equally excited about? 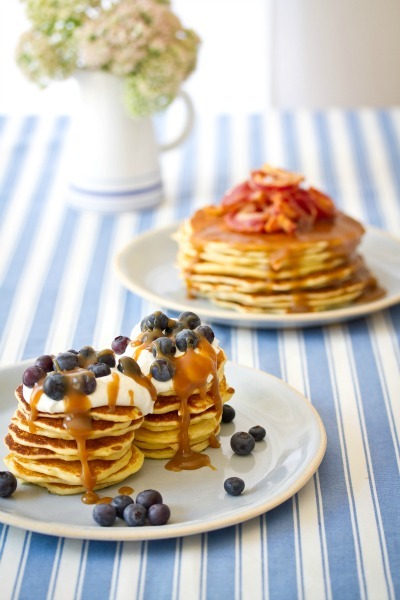 “His and hers” flapjack stacks with caramel sauce topped with bacon or blueberries. Yum! Love love love the bags and those pancakes look divine. Adorable bags! Please check out my blog www.steppingintoprep.blogspot.com, I'd love to follow eachother!